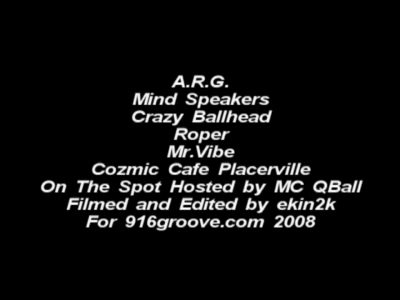 Cozmic Cafe - A.R.G./Mind Speakers and Crazy Ballhead 05-16-08. Featuring Roper and Mr. Vibe. On The Spot Hosted By MC QBall. Filmed and Edited by Matthew Hollstein for 916groove.com.